I love making the holidays magical for my girls. 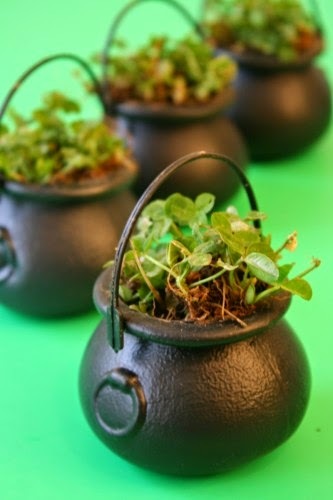 It is so fun, and there are so many simple ways to make even the little holidays a real treat. 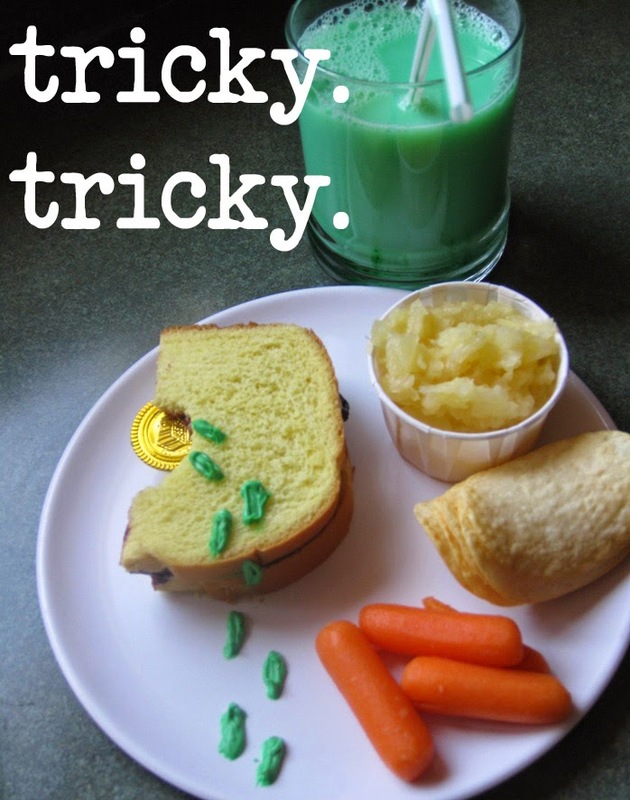 Here are some of my favorite ways to make St. Patrick's Day magical for kids. 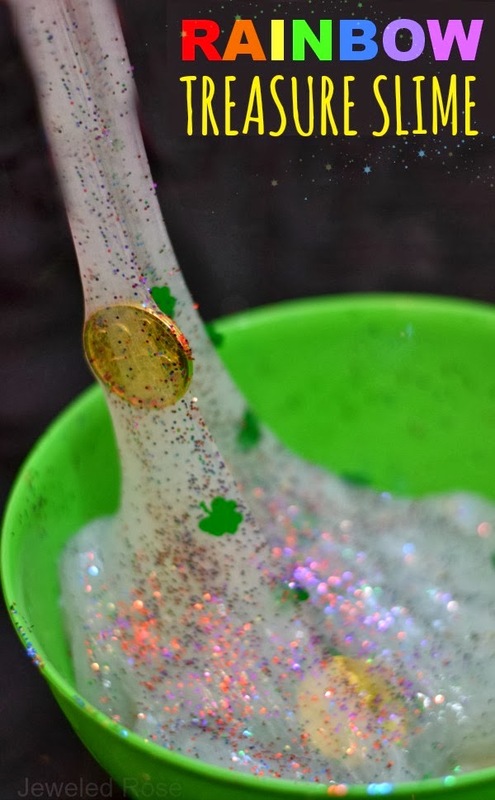 What a fun & magical surprise for the kids! 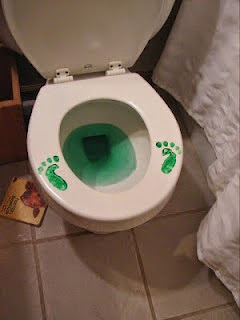 Set this up the night before St. Patrick's Day, and then tell the littles that a sneaky leprechaun paid them a visit. My girls got a kick out of this last year. Visit A Differentiated Kindergarten for more details including how to make leprechaun footprints. How fun! And so magical! 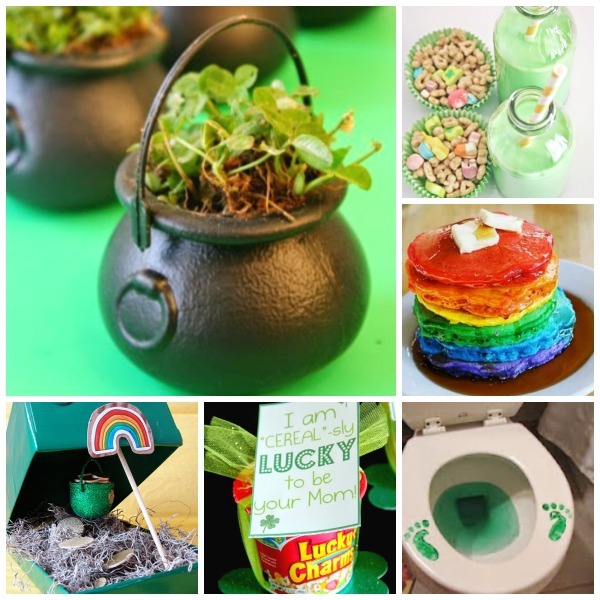 Tell the kids that a sneaky little leprechaun did it or just leave it to magic! 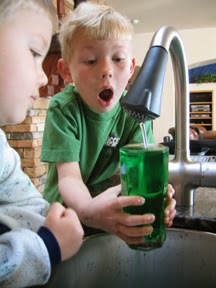 Visit Steve Spangler Science to see how to turn your faucet water green and for more fun leprechaun ideas. 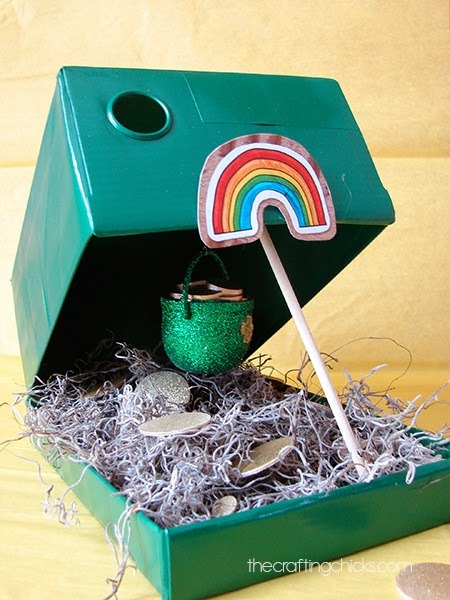 Making a leprechaun trap is a fun project for the kids, and they will delight in checking the trap to see if they caught anything. 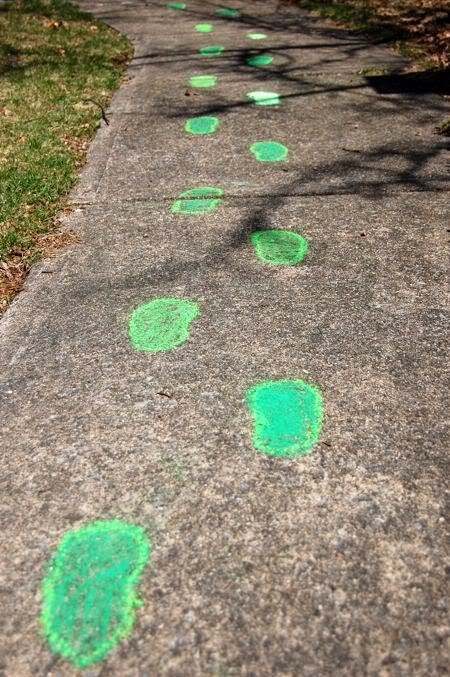 Leave green "footprints" nearby for that extra bit of magic. Visit Crafting Chicks to see how they made the one pictured above. 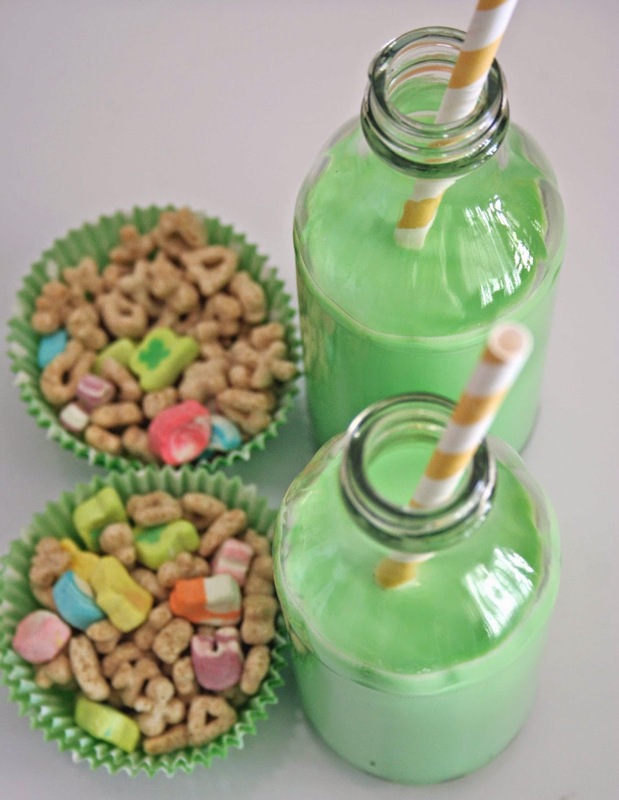 How adorable is this breakfast idea from Thoughtfully Simple? I love it, and the kids are sure to as well. This mama left a note with the breakfast that said, "I am over the rainbow in love with you." Get the free printable here. 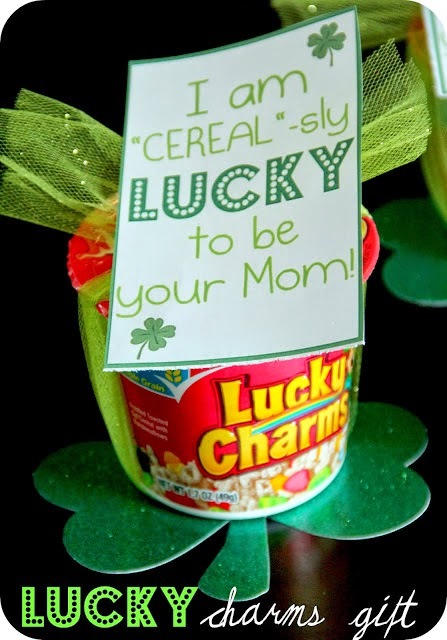 How cute and fun is this idea from Gourmet Mom? This only takes a second to put together and is a sure way to make the kids smile. How fun! 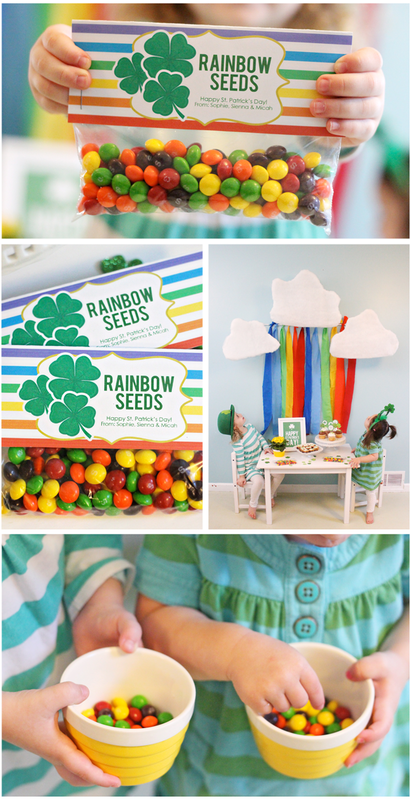 My girls love rainbows, and they would be tickled to have these on their plate on St. Patrick's Day! See how I Am Baker made them here. 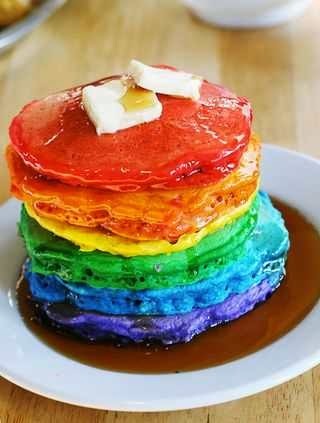 If you are concerned about using so much food dye check out this rainbow pancake recipe. How stinkin cute! I love this idea from Marci Coombs! 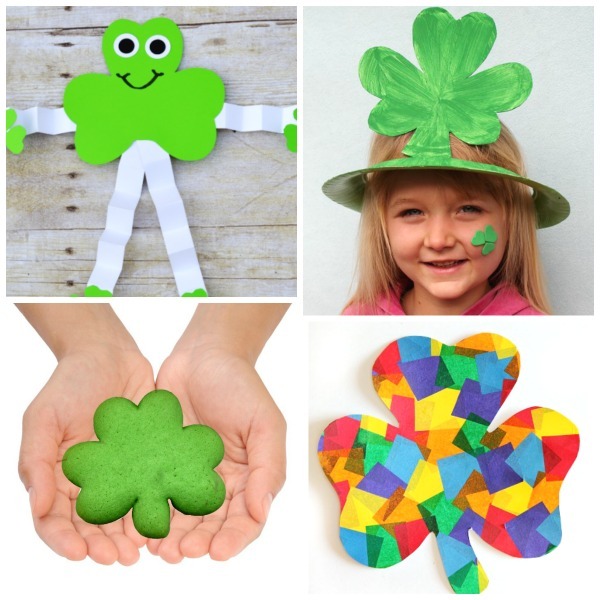 This fun project will have the kids feeling lucky! We grew clovers last year, and my girls delighted in watering them each day and watching them grow! Thanks for the idea Chica and Joe! What could be more fun than a slimy treasure hunt? 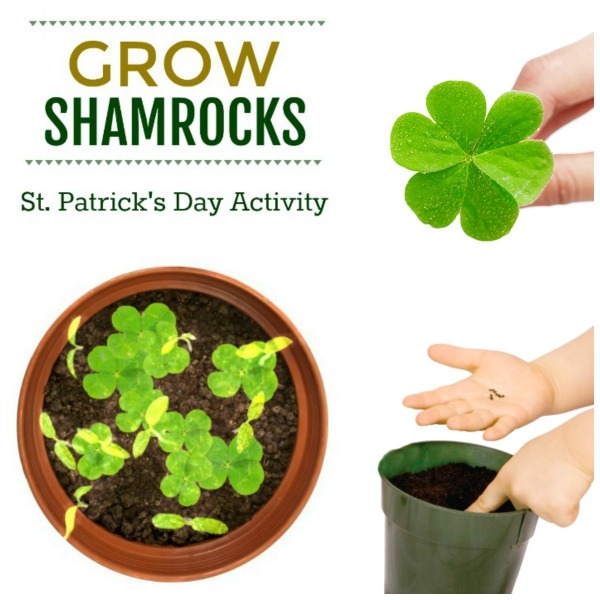 My girls LOVED this activity! 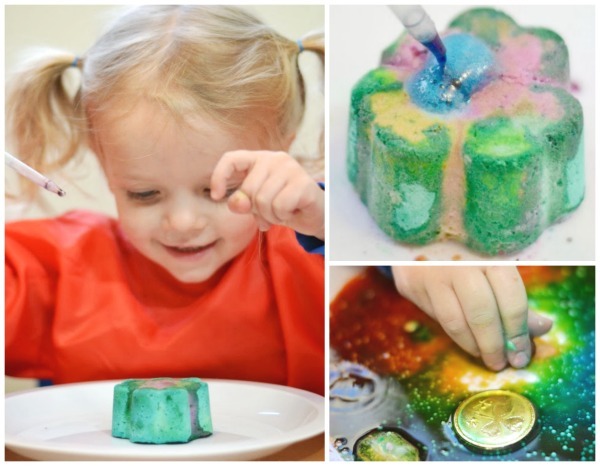 The slime is really easy to make, too! What a fun drink for the kids! And so EASY! Get the details on how to make rainbow water from Happy Hooligans. What an adorable treat! Skittles turned rainbow seeds- why didn't I think of that? 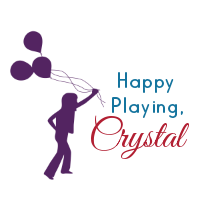 Visit The Busy Budgeting Mama for the printable as well as more rainbow inspiration. What a fun thing for the kids to come home to! A leprechaun trail and rainbow art on the sidewalk! I love this idea from Inner Child Fun. I love this simple bit of magic from Little Birdie Secrets. 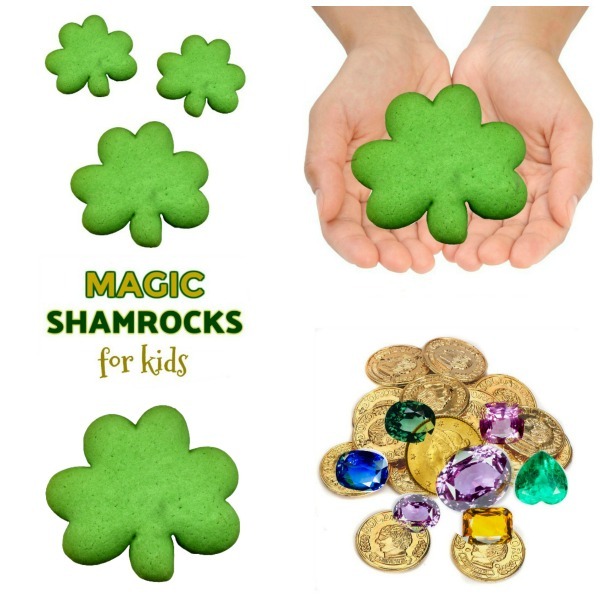 Magic shamrocks are lots of fun for kids, and they are really easy to make! My girls had a blast using magic to free the treasures from inside the rocks. No matter how you & your family celebrate the holiday I sure do hope it's magical!